Bobby Baker is one of most widely acclaimed and popular performance artists working today. Over the course of a thirty-five-year career she has toured the globe with her wildly stimulating explorations of 'Daily Life' and has been extensively written about and studied. 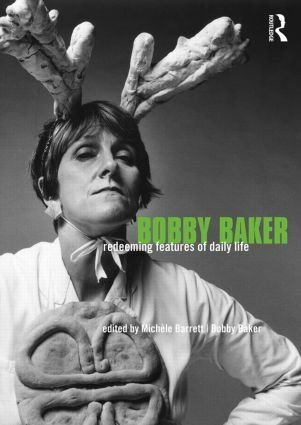 This fully-illustrated book brings together for the first time an account of Baker's career as an artist – from her first sculptures at Central St Martins in the early 1970s to her most recent work, 'How to Live' and 'Diary Drawings' – with critical commentary by reviewers and academic practitioners. a new interview with Bobby Baker by Adrian Heathfield. Under the guiding editorial hand of distinguished cultural theorist Michèle Barrett, this volume is an essential text for students interested in performance, gender, and visual culture, and a hugely absorbing and accessible account of Baker's work. DAILY LIFE 3: Take a Peek!